LB1099, introduced by Heartwell Sen. John Kuehn, would create the Legislative Ethics Board, comprised of a chairperson elected by the members of the Legislature and six appointed members, two from each of the state’s three congressional districts. The board would be required to establish what constitutes inappropriate conduct by an employee or member of the Legislature and establish procedures for receiving and investigating complaints. The board also would establish potential disciplinary sanctions for violations and administer those sanctions when necessary. Submission of a complaint to the Legislative Ethics Board would not preclude the filing of a complaint with any court of law or other appropriate agency. 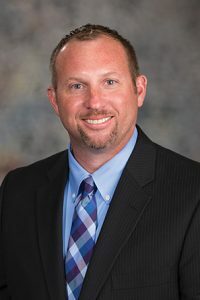 Kuehn said he introduced the measure to begin discussions about what currently happens when questions of unethical conduct arise at the Legislature, and what changes could or should be made to that process. Nebraska is one of only eight states that does not have an internal legislative committee to address ethics issues, he said.